Is There Someone Important You’ve Forgotten to Love? It’s the second greatest commandment in the Bible: Love your neighbor as you love yourself. But what if you don’t love yourself very well? How can you grow into a happier, freer, and more genuinely loving you? In Loving God, Loving Myself, biblical counselors Jerry and Denise Basel give you a traveling companion on your journey to healing from life’s wounds and Satan’s lies. 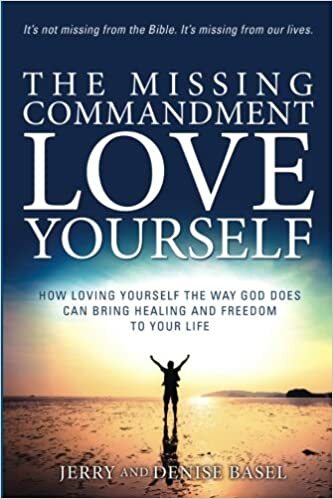 These fifty-five engaging and hope-filled readings correspond to the Basels’ book The Missing Commandment: Love Yourself and make a valuable accompaniment. However, this book is designed to stand by itself. The Basels say, “Some of the writings are inspirational. Others are informative and instructional to help you better understand yourself and your life story.” Read just one short chapter a day. Steep in the wisdom and encouragement gleaned from God’s Word. Learn from the stories of others as well as the Basels themselves. And gain daily hope, insight, and vision for your life as you walk the road with God toward loving yourself and others the way God does. What keeps you from loving someone God loves so much? How might your life change if you really believed God loves you—not just in your head but down where it counts, in your heart? Imagine how different things could be : The lies you’ve believed about yourself all these years dispelled. The wounds of abuse healed. Your future lit with hope, peace, and purpose. Your closeness with God and others deepened immeasurably. The true, heaven-born you free at last to live a life unclouded by shame, guilt, and fear and empowered to love others fully. That can be you. The truth is far, far better than you’ve known. Drawing on their many years of biblical counseling practice, Jerry and Denise Basel invite you on a journey of God-discovery, self-discovery, and truth-discovery. 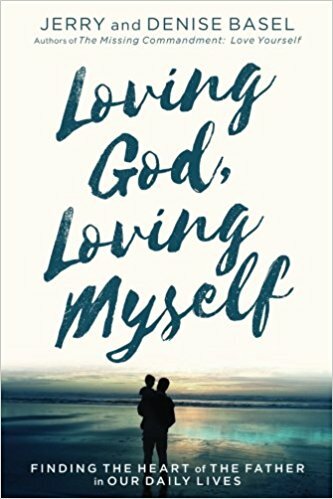 The Missing Commandment: Love Yourself will help you experience God’s love as the daily, motivating force in your life. And it will show you how to stop punishing and start loving someone whom your heavenly Father loves very much—YOU. You see, the missing commandment has never been missing from the Bible, only from your life. But that can change, starting now.